When buying a workstation, price-performance matters. But it’s not the only consideration. Also important is aligning features and capabilities with user applications and workloads. So are system optimization, expandability and support. While many buyers — especially in graphics, video and multimedia fields — might consider Apple’s iMac, iMac Pro and MacBook Pro models best suited to their needs, they may be selling themselves short in many ways. 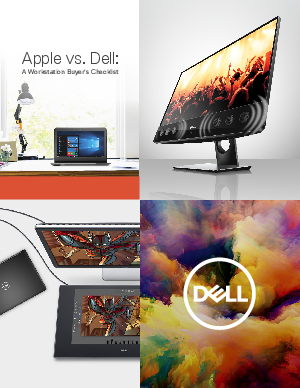 This paper provides a checklist for buyers to compare Apple’s newest high-end offerings with the latest Dell Precision wokstations. Download this guide from Dell and Intel® to learn more.